Anybody in the Phoenix area...There is the 2014 BOP show this Sunday, March 30th. 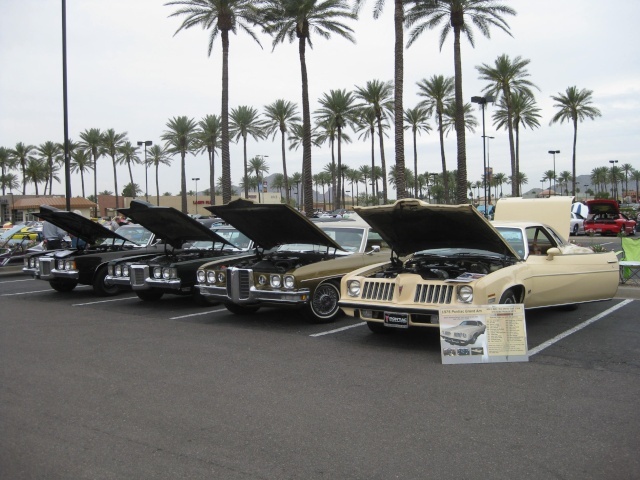 (Buick-Olds-Pontiac) at the Scottsdale Pavillions on Sunday 8 to 3. I will have the Grand Am out again. Then next week, April 5th is Pontiac Heaven with drags, swap, and show at Wild Horse Pass. The following Saturday is Cruise on Central again. Wooo Hooo!!! Wow...must be nice to have the car show scene in full swing. Mine are still in storage lock-down...with no hint of Spring so far. Mcarlo77 wrote: Wow...must be nice to have the car show scene in full swing. Mine are still in storage lock-down...with no hint of Spring so far. x2, it looks nice outside but its cold. currently 33 degrees.
" /> " />.....WooHoo! 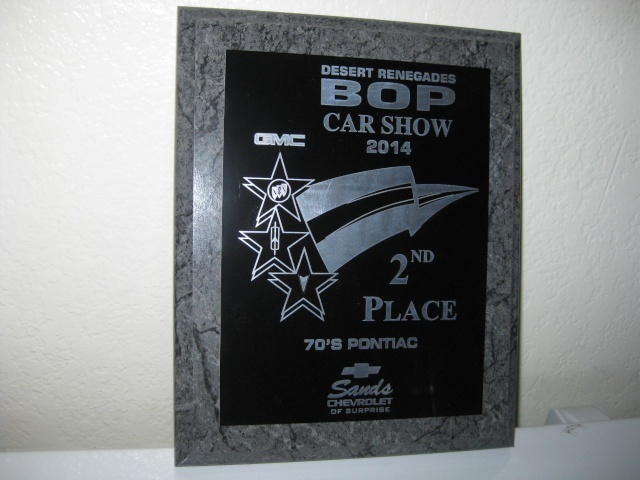 Gabrielle the Grand Am took a 2nd place in the 70's Pontiac class this Sunday. Awesome day, lots of fun and ran across a couple of old friends I hadn't seen in a while. I can't wait for Pontiac Heaven this Saturday! Drag racin, car show, and swap meet. Plus Jim Wangers will be there again, love talking to him. That is awesome! Car looks showroom new in that photo...with that placard and all! WoW nice wish I were back out there again. Know where I would be every Saturday!!!!!!!!!!!! !